Won 9 out of 12 battles. Nine. *Nine*. That's 75% for 12 games. Haven't seen such a win in the last 4 weeks. On the downside, no Ace Tankers tonight. Got two points in Ranked tonight. 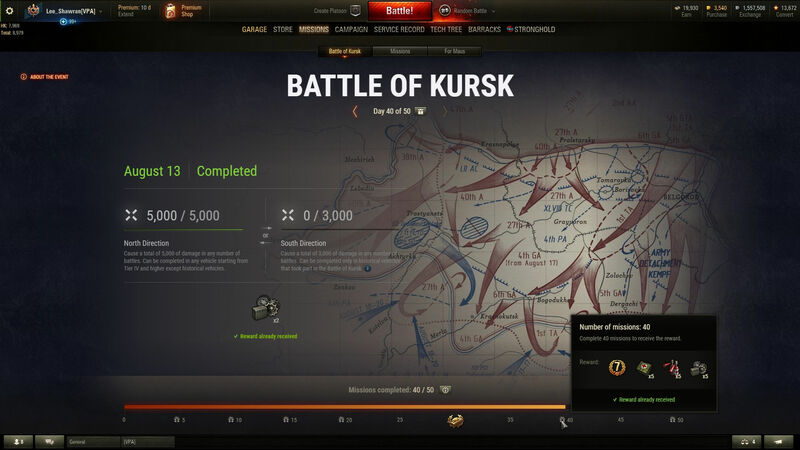 "I'm a simple man, when I see a free premium tank, I grind, I take it"
Can't be happy if you are playing World of Tanks. My first game last night I ran into Val (luckily on my team) so I moved to HK because odds said he wasn't going to be on my team next game. First time in a week I was above 60% for the session. Played 100 games in P43 bis in a row, cause I don't spend money for gold to free xp up anymore so need to grind. I just won 2 games in a row after losing the first one. Wow that rarely happens. 2 wins, in a row, right after the first game of the day. For a 2/3 overall. Now I just need this to repeat 50 times and I'll break even for the week in terms of luck. I was within two games of 60% so thought I'd just get it to 60 after I finished the grind. Now needs 14 games to 60%. It's been out as far as 18 and as close as 4 again... Meanwhile my Pantera sits without a crew waiting for it. Yep, just started P43 ter for 100 in a row. The outcome will tell the story. But I decided I need meaning in the game so grinding at least until tier 9 Italian keeps me keen ATM. Moved the bis crew up to the ter so bis is now retired. About the only thing I need gold for these days is retraining crews and making sure I can demount equipment. Edited by struth, 14 August 2018 - 08:10 AM. I much preferred the ter. Did the Pantera grind in Fronties (kept it without a crew) and just venturing out in the Standard B - seems good, even been bouncing shots which was not expected. Still trying to fix the bis W/Rate though. Might need a third (or fourth - the tier 4 is a bit stupid) crew. Edited by Profanisaurus, 14 August 2018 - 09:29 AM. I've found I really hate the interclip on the Standard B. It's not a bad tank, but that annoys me. Bugger I was looking forward to the B. The B is superb. But you can't be as ballsy as you can in the progetto / pantera. That was the feeling I had of it, a good second row tank and a bit of an assassin. I'm on a winning streak of 1..... and i'm Happy! Edited by Drunk_Thug, 14 August 2018 - 12:57 PM.